Stealing/Robbery is a crime, we all know that right? If you don’t, why do you think your parents beat the living day light out of admonished you when you were caught stealing meat from the pot taking what didn’t belong to you. 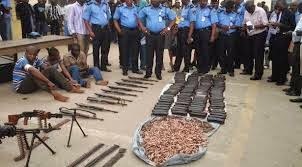 Remember those gentlemen and women always paraded by the police as armed robbers, with guns, live ammunitions and cartridges lying in front of them, everyone who has seen a Nigerian edition of Crime Fighters will know what I mean, well that’s another sign for you that stealing is a crime. Stealing is a moral wrong that’s why all religions and societies frown against it. Stealing, burglary and armed robbery are all crimes in many legal jurisdictions around the world including Nigeria and Lagos State has its fair share of laws and punishments for anyone caught stealing. According to Section 294 and 295 of the Lagos State Criminal Law 2011, any person who steals anything and uses or threatens to use actual violence to retain the thing stolen or to prevent or overcome resistance to its being stolen or retained, is said to be guilty of robbery. And anyone who commits the offence of robbery shall on conviction be sentenced to imprisonment for not less than twenty-one years, Shikena. When the person is particularly armed with firearms or offensive weapons or any obnoxious and chemical materials, such offender shall be sentenced to death. 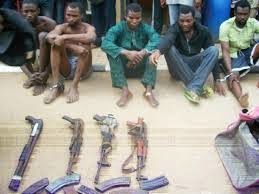 You must now see reasons why if you have chosen a career in armed robbery, you must begin to have a rethink. Section 296 says just merely having an intention to steal and assaulting someone in the process or just threatening to use force while stealing is a felony and such offender is liable to imprisonment for not less than fourteen (14) years but not more than twenty (20) years. That means such person still goes to jail for up to 20 yrs even if the robbery was not successful. If the robber wounds anyone or uses violence on anyone kperen, that’s even life imprisonment. Oboy, na to face my law practice o, it’s not like mama & papa raised a thief anyway, *shrugs*. Also any person found in any public place in possession of any firearms whether real or imitation and in circumstances reasonably indicating that the possession of the firearms is with intent to the immediate or eventual commission by that person or any other person of any of the offences in Sections 294 – 296 of the Law is guilty of a felony and liable to imprisonment for not less than fourteen (14) years but not more than twenty (20) years. Of course, you must know this doesn’t include kids with toy guns, lol. offence as a principal offender and shall be punished accordingly. Gbam, so like people say, for hearing la san, So for planning, the person sef go chop yawa gets punished. “Firearms” includes any cannon, gun, flint-lock gun, revolver, pistol, explosive or ammunition or other firearm, whether whole or in detached pieces. “Offensive weapon” means any article apart from a firearm made or adapted for use for causing injury to the person or intended by the person having it for such use by him or by some other person and it includes an air gun, air pistol, bow and arrow, spear, cutlass, machete, dagger, cudgel, or any piece of wood, metal, glass or stone capable of being used as an offensive weapon. Ordinary to buga person sef to rob am na 3 years. Also by virtue of Section 299, any person who, with intent to steal anything, demands it with threats of any injury or detriment of any kind to be caused to him, if the demand is not complied with, is guilty of a felony, and is liable to imprisonment for three (3) years. Now you know say thief work no easy, the risk wey dey there plenty pass the risk wey Antelope dey face if e jam lion for bush. 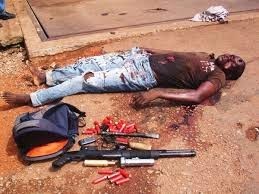 Armed robbery is a very grave and serious crime as seen from the above provisions of the law, though the above laws are laws of Lagos State, all other states also have their anti – stealing/robbery laws. It is wise to also note that there has been gossip & rumours unofficial and unverified reports that the Police have beef for armed robbers and always shoot them upon arrest, but no be for my mouth you go hear say teacher mama die like I said they are unofficial, unverified and anonymous reports.